A weekend devoted to Hitchcock, the master of thrillers, in the Cité de la Musique, the Philharmonie in Paris. The screening will show some of his finest movies along with the live soundtrack interpretation by several orchestra ensembles, among them the Britten Sinfonia. Let’s focus on the soundtracks of one of Hitchcock’s movies, say Vertigo. This masterpiece by Bernhard Herrmann features melodies (for instance, those on love and nightmares) which are deeply ingrained in the audio memory of the audience, and are tightly linked to mesmerising images, alluding constantly to the legend of Tristan and Isolde. The gruesome relationship between love and death, dating back to folk tales from time immemorial, is achieved magically and remarkably by means of imagery: the plot, powerful and ambiguous, gradually uncurls through an intense feedback around the topic of the mystery of love and desire (of return) of the beloved, never completely fulfilled. In addition to Vertigo, other two great Hitchcock classics will be shown: The Lodger, a silent movie in which music is of vital importance, and Psycho, which contains some of the most striking scenes in the history of cinema with the aiding and abetting of a still thrilling soundtrack. the architects of multiple award-winning recordings and concerts, widely acknowledged by critics. This diverse and complex event will present moments of high-intensity, which the audience will be able to enjoy one day after its premiere at the Palau de la Música in Barcelona. The featured concert is none other than the 3rd piano concert by Béla Bartók in which the audience will delight in its unpredictable, kaleidoscopic and idiosyncratic musical grammar. A similar musical generosity will also be found, in an orchestral format, in the 7th symphony by Antonín Dvořák, a masterpiece by no means overshadowed by his more popular New World Symphony. Indeed, it is intriguing the concept of one artistic work overshadowing the execution of other works sharing so many common traits, e.g. identifiable melodies and an orchestral performance requiring the finest elegance and brilliance from many sections of the orchestral ensemble. All these demands are safeguarded and guaranteed by the Münchner Philarmoniker, a first level ensemble performing under the baton of such renowned figures as Sergiu Celibidache or Lorin Maazel. receives a much more concrete and tangible interpretation with the articulation of the movement through gestures and body language. Dancers are interrelated in harmony with the melodic lines and both elements fluctuate in a way that enables the musical imagination of the composer to become a source of plastic reality. The historic stage of Scala of Milan hosts Heinz Spoerli’s inspiring choreography, from 2nd, 21st and 22nd of March. The promotion of culture, more specifically of music, is one of the distinctive traits of the city of Dresden. Its museums hold unique pieces of art (truly unique pieces: Greek marble, a rare material, and its Roman copies) and its wonderful performance locations, from its beautiful Chapel used by Heinrich Schütz in the 17th century to the magnificent Semperoper, have hosted some of the most influential musical ensembles such as the Staatskapelle orchestra founded in 1548 under the baton of Christian Thielemann since 2012. Joined by such figures, the interpretation of a symphony of the size and complexity of the 3rd Symphony by Gustav Mahler seems to be a perfect occasion for a top-notch musical experience. 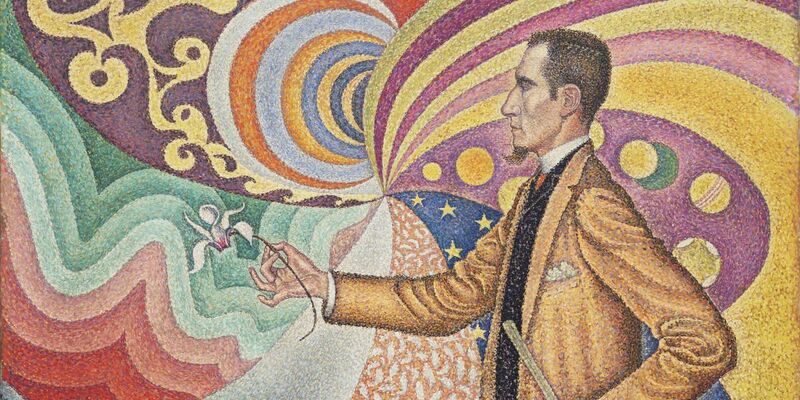 The challenging rhythmic rule-breaking collages by the Austro-Hungarian composer always put audiences to the test to unsuspected limits; somehow, they become the main protagonists of the changing cosmos dramatized through sounds and auditory memories. Specifically, this masterpiece counts with the participation of 2 choirs and voice (the mezzo Elinca Garanča) reciting selected lines from the disturbing Thus Spoke Zarathustra, starting with the solemn warning Oh Mensch! Gieb Acht! (“Oh men! Pay attention!”). and, today, more than 60 years later, the ensemble remains at the forefront of historical performing practice- presents a concert that would have delighted its former conductor, one of the most revolutionary figures of instrumental interpretation of his time. In fact, apart from J. S. Bach’s Passions, his most breath-taking masterpiece is Mass in B minor BWV 232. This is a mass of huge dimensions that stands out for its complexity in the script followed by instruments and voices. Overall, a first-class auditory monument comparable to works of art from the past (perhaps only comparable to Mozart’s Mass in C minor and Beethoven’s Solemnis). The legacy handed down by the master Harnoncourt runs deep in generations of musicians, and has been fully influential not only on musicians but also on listeners and audiences, who have readjusted their parameters with a view to enjoying popular scores with more intensity. I perfectly recall the first and only time my eyes witnessed a live interpretation under his baton. 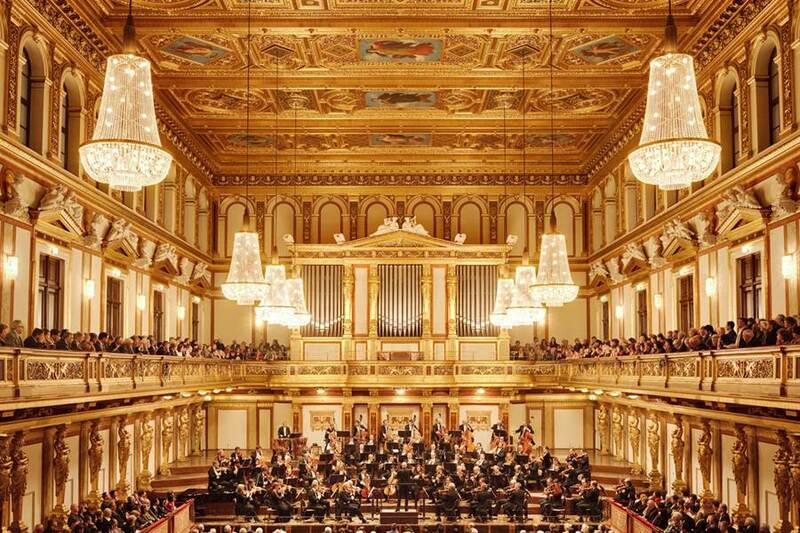 This happened at the well-known Musikverein, over 15 years ago now. I was amazingly lucky to find these priceless tickets, almost at the last minute. To our right, we managed to have a privileged view of Harnoncourt: before anyone could feel his presence in the Golden Room of the Musikverein, we managed to see him, standing, inexpressive, in full and memorable concentration and poise, about to walk the final steps to the center of stage. It was an intense and fast-paced concert, including both melancholic and funny moments in his daring version of Schubert and Mozart. His physical absence from the same stage on the coming 17th will be counteracted by his presence, by dint of Bach’s artistic genius. 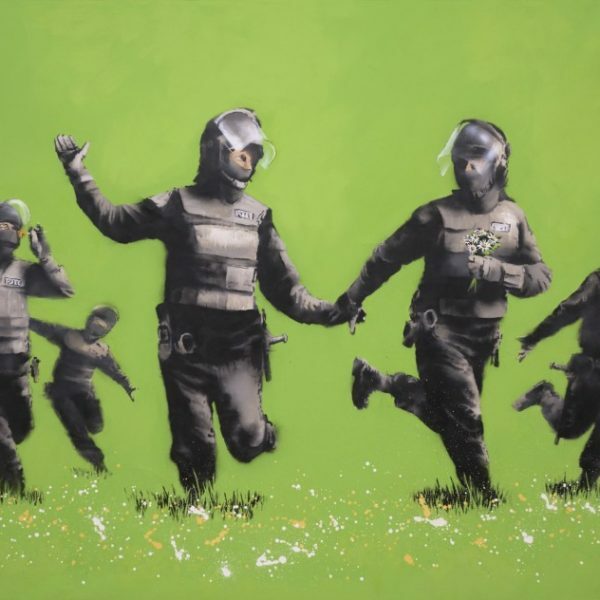 Banksy is not only the author of inspiring and thought-provoking graffiti painted on everyday canvases -i.e. building walls and urban furniture. Surprisingly enough and overnight, these paintings materialise the challenges to preconceived ways of thinking by means of dream-like images falsely naive. Banksy is the author of creations that can also be accommodated indoors, a final irony on the artist’s raison d’etre, in that his work has become an object of consumption. This dilemma has been masterfully tackled in the essential pseudo-documentary made by himself Exit Through the Gift Shop (2010). In it, Bansky introduces a critical reflection -somehow paradoxical- on promoting a street-based and -oriented model of painting, that unexpectedly ends up dying because of its own success. In the Moco Museum in Amsterdam, until May 31st, Banski’s 50 works of art reflect the same irony as they gloriously accuse themselves of being works of art of the end of an era of material art. Last month to imbibe, until February 25th, the art of David Hockney at the Metropolitan Museum in New York. Born in 1937, this versatile artist has been recognized as one of the main creators of the Pop movement as well as one of the most influential artist in the different fields of creation, from design to staging. In addition to being a painter as well as an excellent portrait painter, he has participated as a stage designer in multiple theatre plays and operas. The MET offers a good selection of the evolution of his work, from his early incursions into abstraction to the experimentation and remaking of the challenging dichotomy between illusion and realism. His productions are seemingly neutral due to the simplified treatment of shape and colour -unquestionably skilful- revealing the standard forms of perception currently considered as nearly canonical. Unlike the previous editions, there is no guest country this year. Instead, a common topic brings together the different artistic proposals (211 galleries, from 29 countries). “Welcome to the future” points out the actuality of this notion, which is lived and understood, in our days, through the technological and cybernetic paradigm. Even if it was already underlined in ancient utopias -and also, of course, in several dystopian visions- it continues to inspire creations, in which innovative languages are integrated. The material embodiment of digital virtuality is behind many of these initiatives, converted into topoi or commonplaces, that are still raising new and problematic questions. Along with Carlos Urroz, director of ARCO since 2010, the curators Chus Martínez, Elise Lammer and Rosa Lleó stimulate reflections on the concept of the future, in a research involving 19 Spanish and international firms under the slogan "The future is not what's going to happen, but what we're going to do". It is also interesting to draw attention to the many activities happening in the Diálogos space, conceived by María de Corral, Catalina Lozano and Lorena Martínez de Corral, where the interaction of a recognized trajectory creator with an emerging one is proposed. In this regard, the Opening space, organized in 19 different environments by Stefanie Hessler and Ilaria Gianni, focuses on the production of young artists. war, intimate spaces- and the personality of his nervous and abundantly colourful painting style. These acknowledgements are well illustrated in this exposition, located on two of the main rooms in the Museo del Prado, after the El Prado extension works have come to an end. Until March 18th the visitor can enjoy a substantial collection of canvases and drawings, some of them from the Madrid’s museum and others from around the world, with special mention to the collaboration with the Fortuny Museum in Venice. sample of contemporary authors from the Museum of Modern Art; these works of art depict exactly what the title of the exposition indicates in an abstract fashion. “Being modern” refers to a change in the concept of art and the use of materials (like Klimt, Cézanne, Kirchner, Mondrian or Richter), a transformation of the traditional categories and the incorporation of others, like photography (Man Ray or Cindy Sherman, for example) and even the invention of new formats, such as the mobile case by Alexander Calder or the videoart by Nam June Paik. These 200 pieces of art reveal the multi-faceted dimension of contemporary creativity and the different paths outlined with revolutionary intentions. Some of these new trends faced misunderstanding at the time and now require a critical eye and the spectator’s self-awareness. The fact that the then-moderns have become the classics does not mean that the problems and concerns that prompted their production are currently solved. In other words, they are not exempt from problems. Or rather, the opposite, they have become new and exciting challenges. which, on closer inspection, transcend the merely descriptive character. His painting style is figurative but its shape seems to arise from a prior disfigurement, enabling the creative procedure to incorporate strongly expressive masks. Indeed, psychological traits are hinted at and are not exempt from ambiguity. The elusiveness of the figures is both mysterious and mesmerising, a powerful attention-grabbing element. The colour contrast further promotes this effect, as well as its eerie alternation between paleness and saturation, and of course the frequent presence (absence) of white eyes that neither see nor watch. 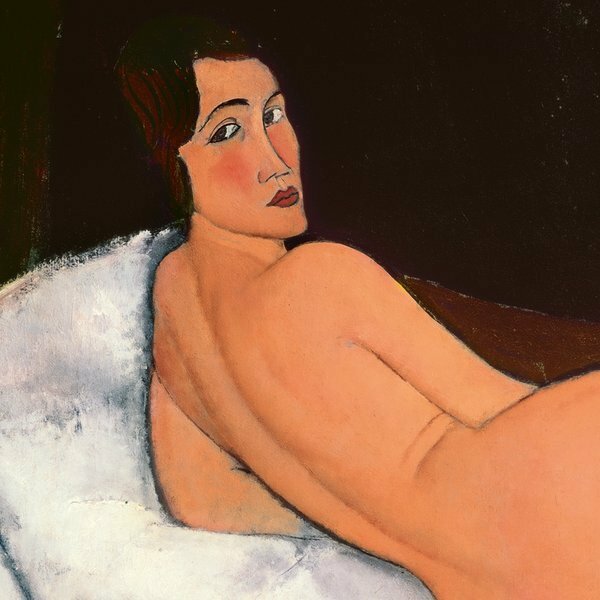 Considering that this is a production by Modigliani, a painter of a relatively limited creation, it is therefore a privilege to contemplate over 10 of his creations. The Tate Modern offers this event until April 2nd.